You drive by and notice a little church on the corner. A sign says everyone is welcome. You wonder what it is like inside. You decide to give it a try. Sunday morning you arrive a little early and hear the music team's pre-service jazz tunes. You are greeted as you enter through the open doors. You are surprised at how alive it seems...everyone is talking or hugging, or both. You grab a cup of coffee and find a seat. The music is amazing. There is meditiation and an inspiring talk. More great music. An explanation of what Unity's teachings are...no fire and brimstone, no threats, no fear. Just acceptance and love. More than that...no dogma but practical ways to bring spirituality into your life. It's greeting your neighbor time. You think "Uh oh...I'm going to be hugged." Pretty soon the kids enter the sanctuary and get up on stage. Could they get any cuter? How do you feel? Well, if you are like most of us, you feel comfortable and at home. We in the congregation refer to our church as our Spiritual Home for a good reason...it's where our Spiritual Family is. We're glad you came and hope to see you again soon. Welcome home and welcome to the family! Some would say that Sunday service is part of my job as minister. That is true, but it is so much more to me.  Spirit is palpable at Unity of the White Mountains Sunday Service. As I look around at the music team, the volunteers and the congregation, my heart swells with joy. I am so grateful to be a part of our spiritual community. It feels like home as I watch the musicians smile as they sway to the beautiful sounds they are creating. It feels like home when I hear the laughter from my latest joke or hear the chuckle of one of the greeters as they pass by. It feels like home when at the end of the service the children share with enthusiasm what they learned in Sunday School. When I walk in the door, I feel accepted and supported. At Unity of the White Mountains I found my spiritual home. I think you will, too.